City of Freeport Threatens Property Owners – Letter to All Property Owners Shifts Burden to Taxpayers to Prove They Don’t Own Residential Rental Properties! On March 6 all property owners in Freeport received a letter from the Freeport Police and Community Development Departments advising them of the requirement to register their rental properties. The letter stated that it was being sent to residential rental property owners based on information obtained from the Stephenson County Assessor’s taxpayer records. 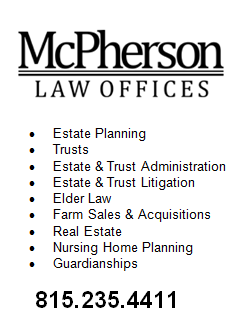 That Assessor’s Office is certainly a mess if they think every taxpayer in Freeport owns rental properties. The burden is put on the taxpayers of Freeport to notify the City by email or calling if the letter was sent to the taxpayer in error (means taxpayer does not own residential rental properties). Another bureaucratic nightmare! Why don’t they send letters to every taxpayer in Freeport asking them about the condition of the streets around their homes? When will the Freeport City Council wake up and start doing its job – instead they are in chronic slumber land! 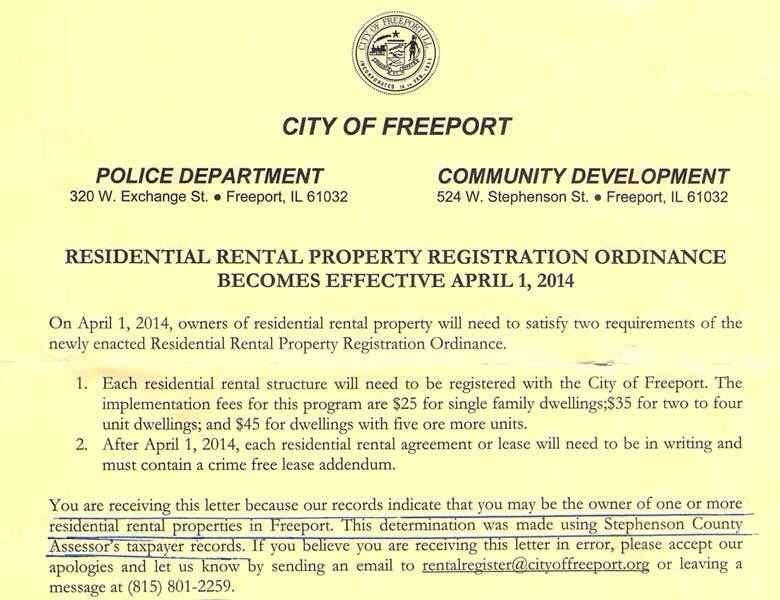 This entry was posted in City of Freeport, Legal Issues, Politics and tagged freeport, landlord, police, rental ordinance on March 13, 2014 by Good Day Illinois.